Charlie’s World of Glittering Powers is split between the forests and vineyards of Provence and a bustling Cornish fishing village. The tale follows Charlie, a rare breed allergy-prone cigale (aka a Snuffle-Buzzer). Charlie is talkative, inquisitive, and daydreams of adventure-filled travel. Before long, one single golden sparkle sets in motion a mystical turn of events, which lead Charlie and Sevi to embark upon a thrilling adventure. Charlie – A Snuffle-Buzzer whose sneezes are glittered with adventure! 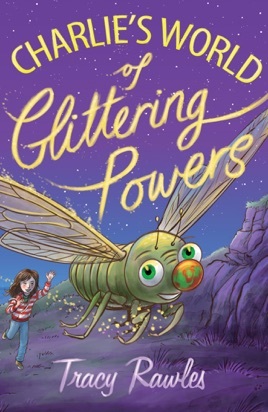 The perfect book for children aged 8 and over, Charlie’s World of Glittering Powers evokes the innocence and wonder of childhood.